Boston is special. 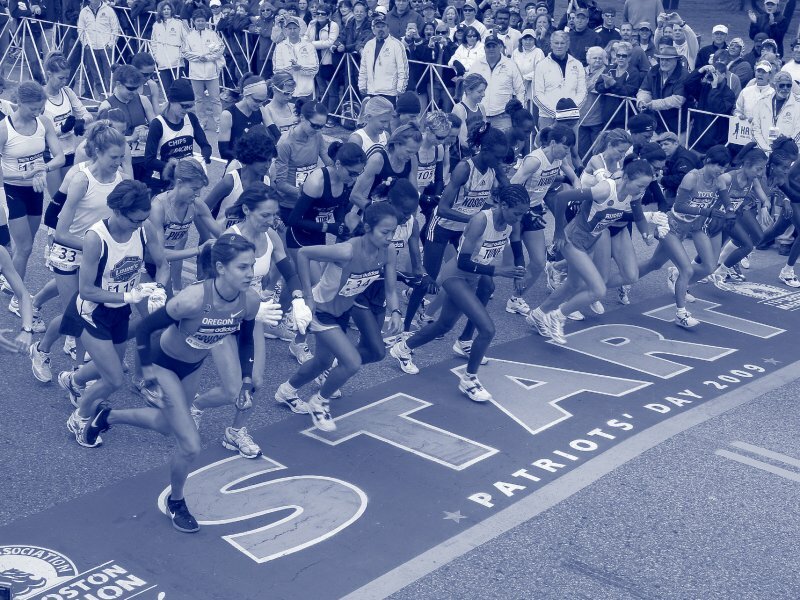 Not only is it our hometown marathon, but it’s the one race that we believe truly embodies the amateur spirit. 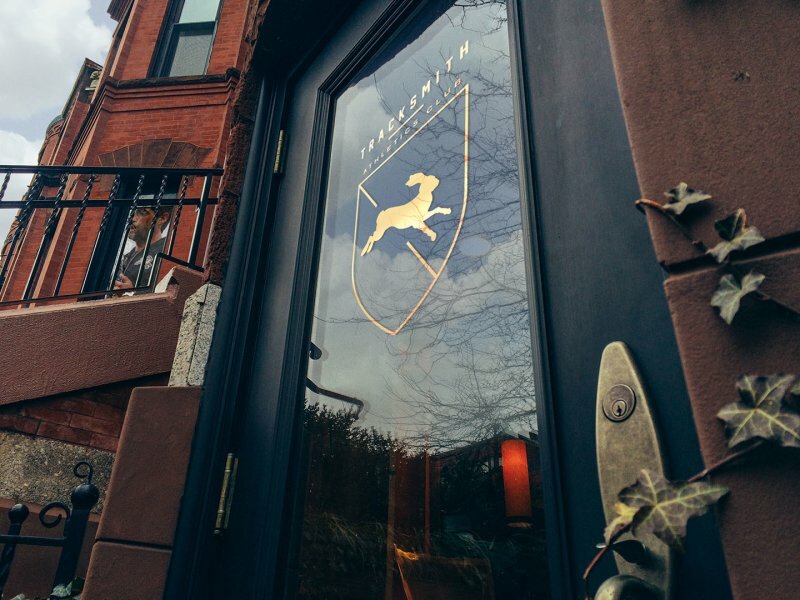 2019 marks our third year at the Trackhouse, our headquarters and flagship store on Newbury Street, and we’ll be going bigger than ever. RSVP via the links below for our events beginning Thursday, April 11th. All weekend, visit the Trackhouse to explore our latest collections, meet other athletes and visit the pop-up Linden Lounge, offering coffee by Linden & True on the second floor of the Trackhouse. Kick off Marathon Weekend with some brews. Linden & True is opening a pop-up coffee shop, the Linden Lounge, within the Trackhouse. We’re celebrating the opening with coffee and a new beer, brewed in collaboration with our friends at Mystic. Come check out the space and sample some brews before the weekend gets busy. The full limited-edition Boston Collection will debut at 9am on Friday April 12th at the Trackhouse. Inspired by the race’s heritage and amateur spirit, these pieces are coveted and won’t last long. Visit the Trackhouse starting Friday the 12th with your race number to pick up a free limited-edition Tracksmith Race Pack. Quantities are limited and will be issued on a first come, first served basis. Join HOKA ONE ONE NAZ ELITE Marathoner Scott Fauble for an inside look at the training and preparation for his 7th place finish in the 2018 NYC Marathon under the guidance of Ben Rosario. As part of the event, participants can enjoy his favorite post-run food: the burrito. Scott will visit the Eliot Lounge from 5:30-7pm to chat, sign copies of his book and offer some marathon wisdom. Hit the Eliot Lounge for marathon-edition trivia and enjoy beer from our latest Mystic collaboration. Come with a team or join one here as Toni Reavis and David Melly lead quiz night. Join The Morning Shakeout's Mario Fraioli and the Tracksmith team for a shakeout on the river. We’re paying homage to the legendary Eliot Lounge - Boston’s premier running bar - and the race's amateur heritage, with a celebration on our second floor. Every Sunday we run from the Trackhouse and this Sunday is no different. Since it's the 14th, those who aren't racing are invited to join us for our traditional 1/2 on the 1/2: 13.1 miles on the course. If you're racing, join us to shakeout over the last few miles of the Marathon. Can you get faster with age? Join Wired Editor-In-Chief Nicholas Thompson and The Morning Shakeout's Mario Fraioli for a conversation around the pursuit of personal records and the unending allure of the marathon. They'll discuss lessons gleaned from science and sports psychology, but also the passions that have driven them to keep pushing for more. Hare A.C. Members are invited to drop a bag at the Trackhouse anytime during Marathon weekend for pick up post-race. Email HareAC@tracksmith.com to arrange. Not running? 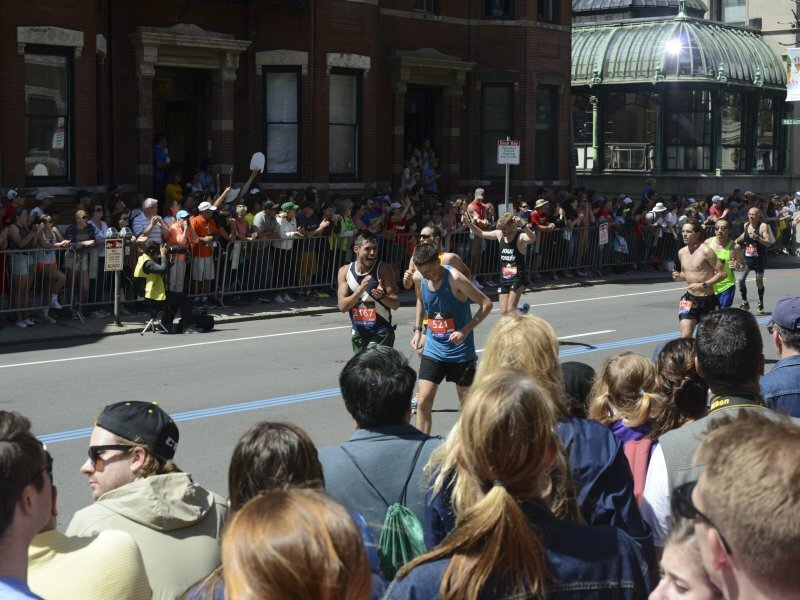 Come watch the race on TV at 285 Newbury Street and head out to Hereford Street to cheer on runners. Racing? Join us when you finish to celebrate in the Eliot Lounge. On Marathon Monday at the original Eliot Lounge, the first runner to get to the bar after the race was rewarded with free beer. We’ll be honoring that tradition at the Trackhouse - the first male and female runners to finish the race and get to 285 Newbury earn a cold beer, Post-Run Robe and race portrait. But most importantly, come join us after the race to celebrate with your fellow runners. For good or bad this race will be stamped on your memory, so celebrate a PR or capture the struggle the day after Boston by stamping your time on our free commemorative poster, Monday post-race and on Tuesday all day as posters last. Hare A.C. Members are invited to join us for a breakfast before the store opens. Stamp your poster and enjoy coffee and pastries with fellow members. Four-time Marathon winner Bill Rodgers will take over the Eliot Lounge for a to sign his book "Marathon Man" from 10am - 2pm.